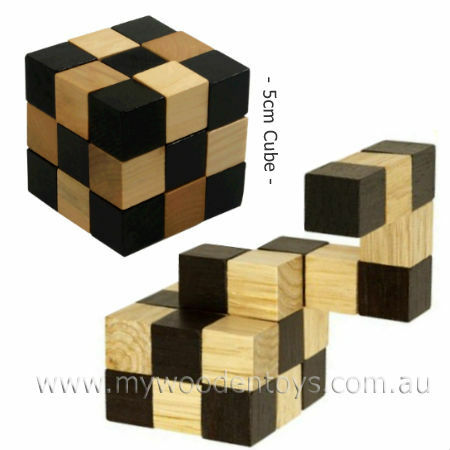 Mini Wooden Snake Cube Puzzle is a wonderfully difficult brainteaser which you manipulate from a line of twenty-seven blocks connected together with elastic into a 5cm cube. Each small block is connected to the one next to it in a zig zag line. By turning and twisting the blocks you build up layers into a cube. A great concentration game and one you can take anywhere. If you get stuck there is a solution video below... but that would be cheating! We like this because: "Fun challenging take anywhere puzzle."